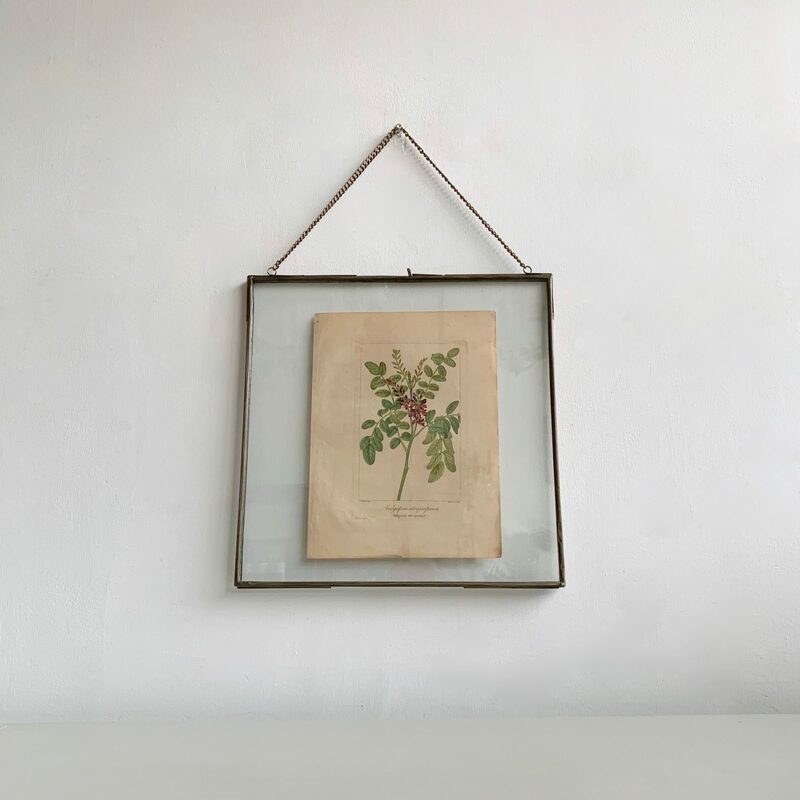 Square contemporary clear glass and aged brass hanging frames. Perfect for photos and unframed prints. Suspended from chain with a pin hinge for easy opening. Hangs in landscape. Multiples available. Unframed prints from £12.00 each.